A monumental new account of the defining conflict in New Zealand history. 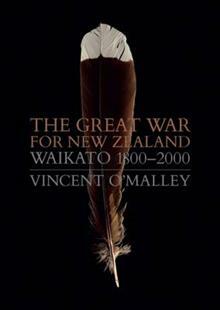 It was war in the Waikato in 1863-64 that shaped the nation in all kinds of ways: setting back Maori and Pakeha relations by several generations and allowing the government to begin to assert the kind of real control over the country that had eluded it since 1840.Spanning nearly two centuries from first contact through to settlement and apology, Vincent O'Malley focuses on the human impact of the war, its origins and aftermath. Based on many years of research and illustrated throughout, The Great War for New Zealand is a groundbreaking book written in the conviction that a nation needs to own its history.